Today, we spent some time at Animal Kingdom Lodge, enjoying the Uzima Pool. 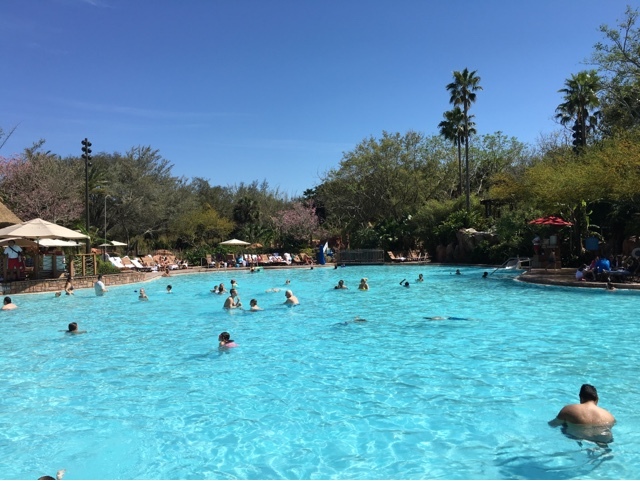 This is one of the largest pools on Disney property, and it includes a water slide and "zero entry" area. Today was one of those picture perfect Florida days.